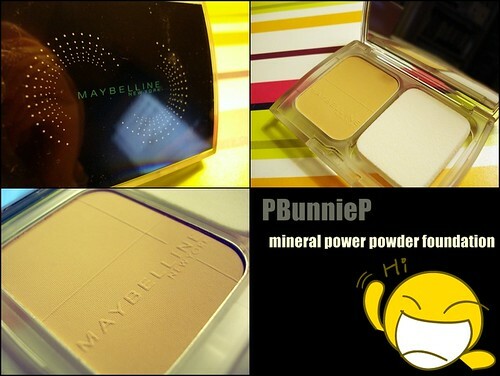 Completely awesome haulage from Maybelline in China! Didn't make a video haul because I don't think too many people would be interested in items they can't buy here in North America. For those who are always looking for new items however, here are the pictures!!! Unfortunatley, NONE of the items are available here where I live, so everytime somebody goes back to Asia, I ask them to bring me back makeup. The fruity gloss is similar to the Shinylicious glosses but better in colour (more sheer-medium) and alot less sticky. In fact, it doesnt make my lips stick together at all and is very smooth! 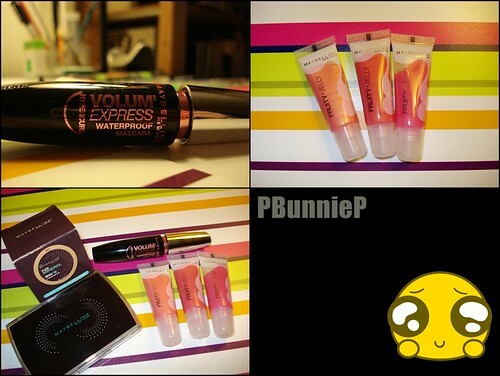 The mascara is the Asia version (best seller) of my beloved Maybelline Volum' Express Turbo boost WP. This is the Asia equivalent of the "Mineral Power" Line we have here. However the colours are much better suited for my skin and they have a "cream/gel" type formulation! OH LALA! 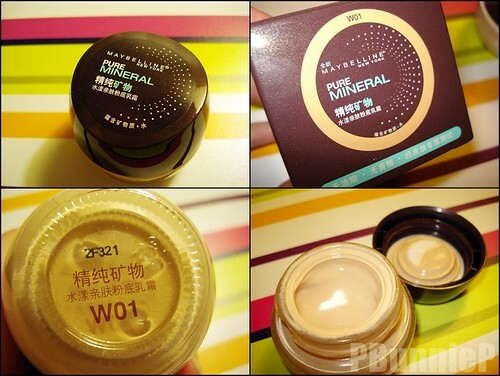 This is the pressed powder/foundation(?) from the same line. I love the packaging and the fact that the sponge and foundation have their own separate spot. I asked for the colour N1 (neutral 1). How you have makeup to dream about before you sleep, hahaha. Of course I can! I'll post up a review once I've gotten the opportunity to put it into rotation. As you probably know, I kind of have too many foundations going on right now.